Image courtesy of Click image to see full-size. Click image to see full-size. 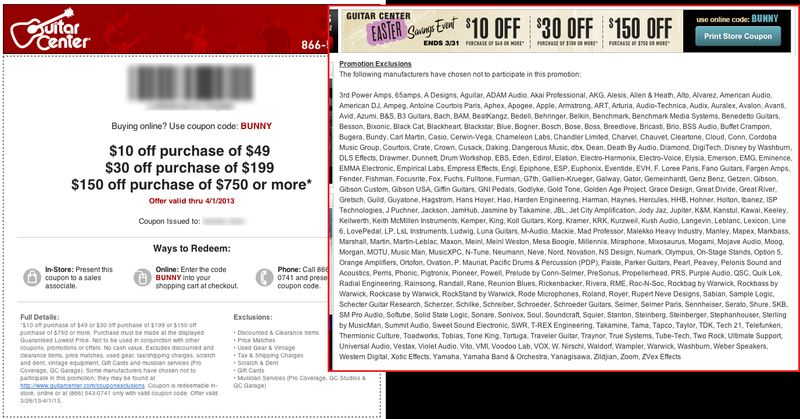 Guitar Center is having an “Easter Savings Event” offering up to $150 off purchases of $750 or more. Which might sound like a good deal to anyone looking to buy a new instrument or some gear, except for the fact that the deal excludes just about everything in the store. This makes that notorious Sears coupon look all-inclusive by comparison.